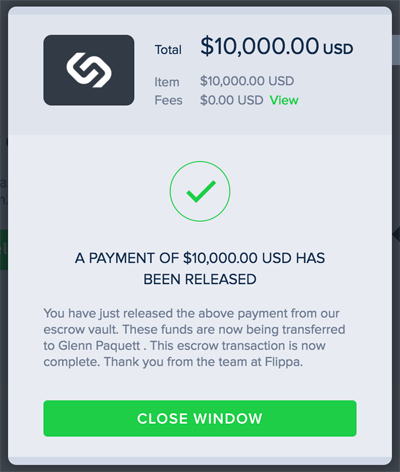 UPDATE Dec 7, 2016: This site purchase is complete and I’ve just released the funds to the seller in Flippa Escrow. Seller was extremely helpful and patient with me. We had to transfer not just the site, but also a very active Facebook page, a Google+ page AND a youtube channel with bunch of videos that do rank and get views! I am planning to monetize those as well, and will put this videos on Facebook and advertise them to grow the page! 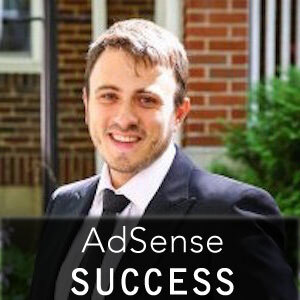 On a side note – this day 19 years ago, we immigrated to this beautiful country – United States – which gave me the opportunities to become the AdSense Ninja (and so much more)! 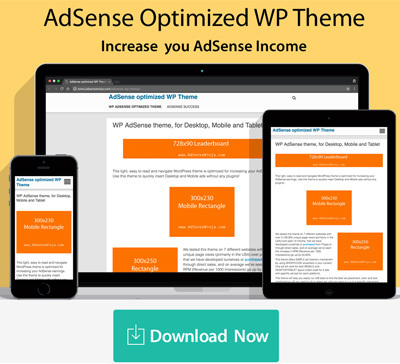 Hi AdSense fanatics. I have great news for you all, and myself. So today I “won” an auction for my first 5-figure website. It costs exactly $10000. My previous most expensive site was $6700. 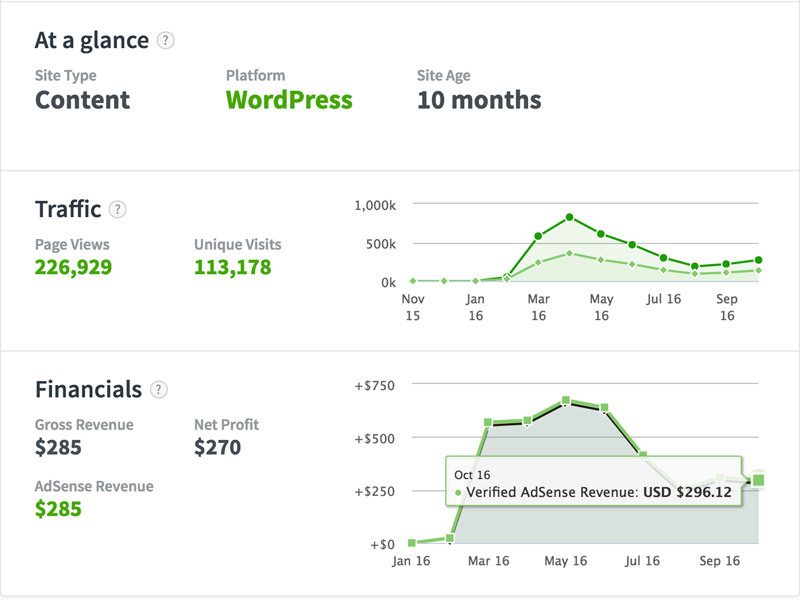 BTW, my $6.7K has earned $5,429.54 on AdSense, in just six months (which is just over 81% ROI) … therefore, if that site’s income stays the same, I’m looking at 162% annual return rate! I will tell you all about it in my Monthly Income Report… And I have high hopes for this new 10K site! This new site’s traffic is about 114000 uniques per months (mostly Google organic). It currently makes $300 per month on AdSense and another $200 on affiliate program. So the 10K purchase price is slightly higher that I wanted to, but site has a lot of potential in both traffic growth and AdSense optimization. How am I going to (try) achieve this goal? Well of course – optimize ad placements and site design, to increase Clicks, RPM and total income. Sounds easy? It actually is. I don’t foresee more than 12-16 hours of work, and most of that will be cleaning up the content, and getting rid of unnecessary links in content and on images. Once I do all the basics, I will hire some writers to create some new content for the site… will spend about $100-200 over first 1-2 months.